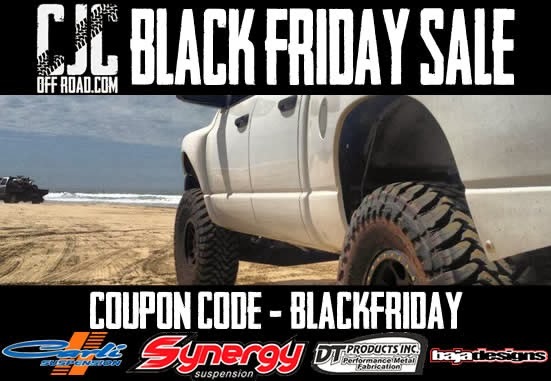 CJC Off Road Blog: Black Friday Sale! Receive Free Shipping and an additional 10% off Synergy Suspension Components! Receive Free Shipping and 10% off Baja Designs Products! Receive $50 off of our 3rd Gen Brake/Dust Light Wing! If you have any issues or questions, please don't hesitate to Contact Us!